Democracy in the open air. 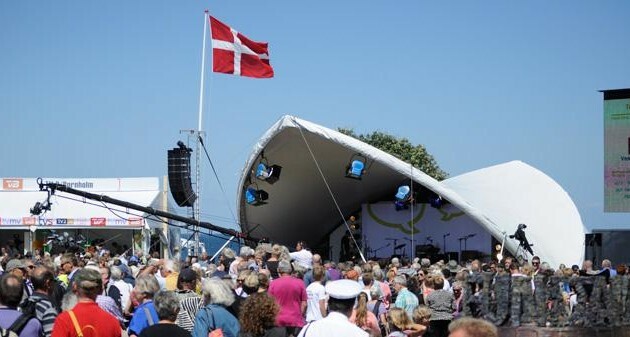 Folkemødet, or the People’s Meeting in Allinge is Denmark’s festival about the society’s opportunities and challenges. The People’s Meeting “Folkemødet” in Allinge is a unique platform with open debates where politics meets citizens, business people and organisations under informal forms on Bornholm. Folkemødet is like the Swedish version of ‘Almedalveckan’, which each year draws up to 11,000 visitors to the Swedish island of Gotland. Last year the festival had over 100,000 visitors, 38,500 overnight stays, 700 hosts and over 2,300 events. This year in 2016 the event takes place from 16 – 19 June and is expected to have more visitors than before. The idea of the People’s Meeting is that politicians, business, NGO’s and any citizen, come together for free-of-charge seminars and encounters. It is open for everybody, who wants to participate in the various meetings and events and as a guest. However, almost all meetings and events are in Danish only.